There are many people who have pets in their homes. No doubt, early man used to train wolves,but now you will never allow wolves or other dangerous animals to become your pet. Today, people like to have rabbits, cats, dogs, and birds as their pet. Did you know having pets in the home can have a significant impact on the kids? Well, if you are a parent with small kids then you must think of owning a pet as the benefits you will get when it comes to your kids will undoubtedly be great. 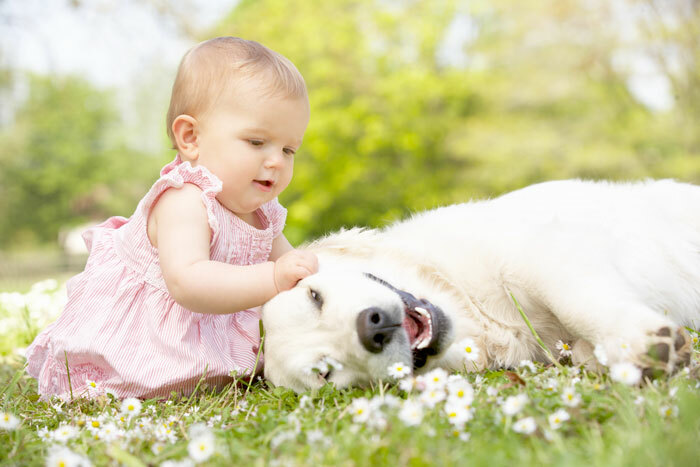 Read on to know the top reasons why children should grow up with pets. You would surely agree with the fact that pets offer unconditional love to their owner and the family. Moreover, pets do not judge anyone and give great comfort to children. They have a capability to sense the trouble, which let the understand kid’s troubles. Pets give support and can become the comrade of your kid as they both love playing. Another amazing reason is that pets can lend a hand in teaching empathy. Suppose you care for a pet that is very much dependent on you. When your pet is hungry, then he will be looking towards you. Also, its winter then your pet would want you to give him cosy comfort,and then you get him winter apparel. This will lead to a sense of care as well empathy when it comes to your kids.Well, you can browse through Our Pet Spot in order to get apparel, food or much more for your pet. You might have seen kids murmuring with pets. Is not it? How great that scene is when small cutie pies attempt to talk with their pet buddy. This way, kids’ will be able to increase their verbal skills as they are still learning to talk. Pets give social as well as emotional support to the kids, which in turn also help your kids to become socialized. According to a study, pets can help in speeding up the recovery time, lowering blood pressure and can even reduce anxiety as well as stress. It’s been seen that pets can help autistic children as when these children are with pets they can significantly relate as such children sense that the pets are unconditional in terms of love and affection. This may surprise many people, but it’s been seen that kids can gain confidence when they get the responsibility of caring for a pet. Kids will feel themselves the owner of the pets and will make efforts to take care of the pets, which further makes them more confident. These points are undoubtedly great reasons that why kids should grow up with friends. Now you know that your little cutie pie can learn a lot from a pet. So, if you do not own a pet, then it’s a time that you must get one today that can become the companion of your kid.